G-Force Europe supplies professional warehouse equipment designed to keep a warehouse organised and running as smoothly as possible. 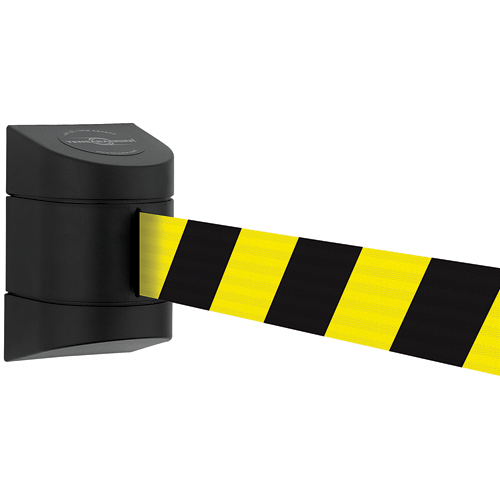 Our crash barriers and safety markers help to minimise the risk posed to workers, keeping them safe in the workplace and operating at peak efficiency. Don't miss our range of storage containers, plastic pallets and metal stillages for handling stock of any size! Our industrial shelving and racking systems provide excellent warehouse storage for stock, components or equipment. The longspan shelving is designed to cover large areas and provide enough room in each bay for storage of various size items including large and bulky products. The right warehouse shelving is a vital part of any warehouse operation, we are always happy to assist with your project by offering on site surveys and quotations. In any warehouse or industrial environment, racking and shelving are at risk of potentially damaging collisions with fork lift trucks, laundry trolleys and any other warehouse trolley or vehicle. It is therefore important to use suitable crash protectors to shield your shelving and racking units. We offer several different types including foam rack guards and steel racking protectors. 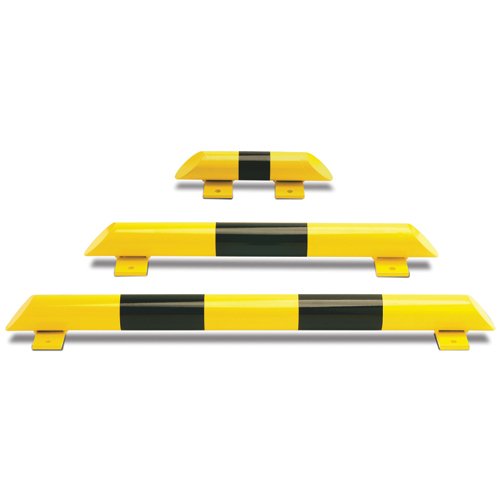 We offer an extensive range of crash barriers to offer protection and safety barriers to offer protection for machinery, walk ways and factory equipment. Constructed from strong and robust steel our safety barriers offer an essential safety measure. We also offer a range of foam impact protectors, that provide both visual warnings and safety cushioning to hard unyielding objects and surfaces such as machines and exposed edges. Our retractable barriers offer a compact and professional barrier system for all areas of a business including industrial and warehouse spaces. A belt barrier operates in a similar fashion to a car seat belt; housed in a compact cassette the barrier can be simply extended to form the desired barrier system. We offer both, free standing post mounted systems and wall or rack mounted cassettes, ideal when space is tight. 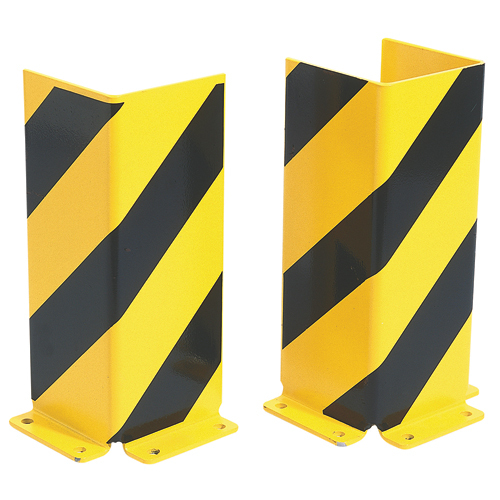 Our innovative cone mounted retractable barrier system is designed to fit on to ordinary road cones, making a simple yet effective barrier ideal for industrial environments. 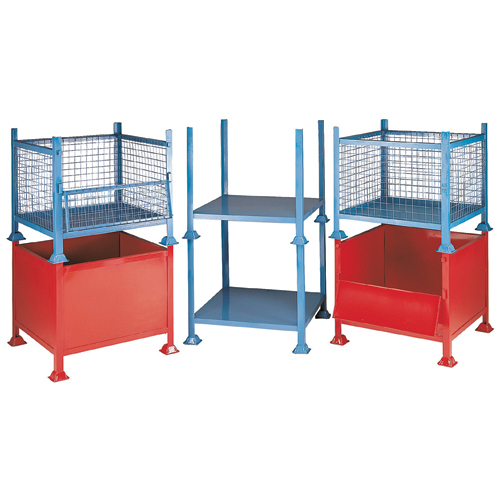 Industrial security cages provide secure storage in a warehouse or factory environment. 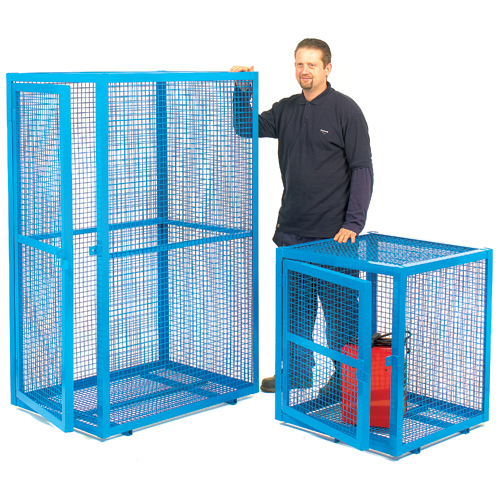 The robust steel cages are built to high standards here in the UK and are ideal for the storage of valuable items of machinery, stock or even some hazardous substances. Available in a range of sizes each model has a lockable door that can be secured using a padlock. A security cage is an essential storage facility for any warehouse offering long lasting secure storage of valuable items. Lengths of bar or pipe can be awkward items to store. 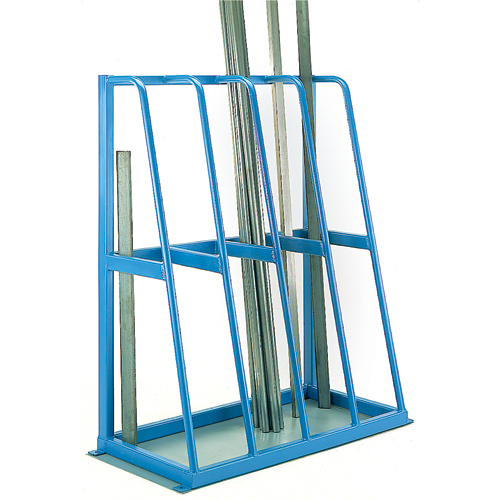 We offer a selection of industrial steel bar racks specifically designed for metal bar storage and storage of other similar items in long lengths. Our selection includes vertical storage racks for storing lengths stood upright and stackable bar storage pallets for horizontal storage. Large sheets of material can also be difficult to store, our robust sheet storage racks are ideal for metal sheet storage, wooden sheet and any sheet material. Our metal stillage’s are an incredibly strong and robust storage and distribution option. A well-recognised industrial storage product, metal stillage’s can be used for storage, collection or distribution of finished products, components, materials and waste. Our range of steel stillage’s include solid, open sided and mesh sided options, all available in a choice of sizes. Plastic pallets are fast becoming the preferred option to wood in many warehouse supply chains. Offering consistent quality, hygienic design and durability, plastic pallets are widely used in many modern warehouses. The hygiene qualities allow plastic pallets to be used in environments where wood can simply not be used such as food production environments. Our export pallets are a lightweight design for single trip export, where wooden alternatives cannot be used. Our medium duty and heavy duty pallets can be used in racking systems and make ideal pool pallets. When it comes to the bulk storage of liquids it is important to protect against potential spillages and the damage they can cause. 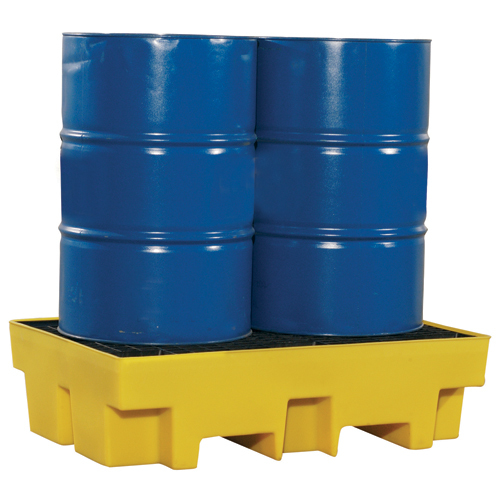 Our range of spill control products includes of bunded pallets for different types and sizes of liquid handling containers including drums, IBC containers, barrels and jerry cans. Our bunded flooring can be used to make a liquid dispense area to safely containing any spillages. If a spillage does occur our range of spill kits provide everything required to safely clean up afterwards, a chemical spill kit on standby is a must when handling chemicals. 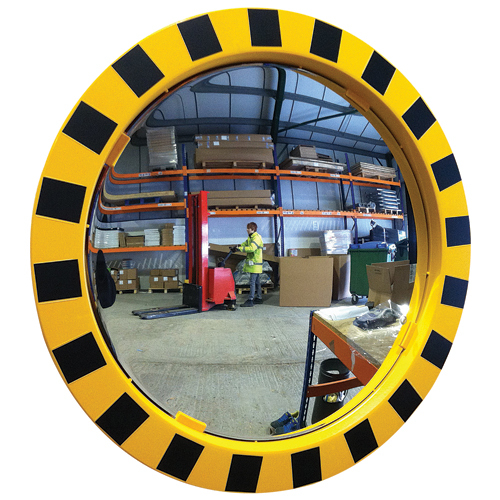 In busy warehouses, industrial mirrors can help improve safety by helping operatives see blind spots or around corners. We offer a number of different sizes and styles including dome mirrors and convex mirrors. In sites handling high value items or retail environments security mirrors also help keep an eye on stock or components. 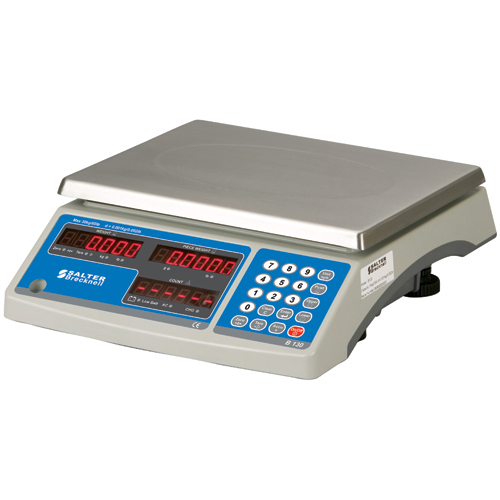 Our range of industrial weigh scales are suited for use in warehouse and factory environments. We offer parcel weigh scales and pallet weigh scales useful in despatch areas and general factory scales for either floor or table top weighing applications. 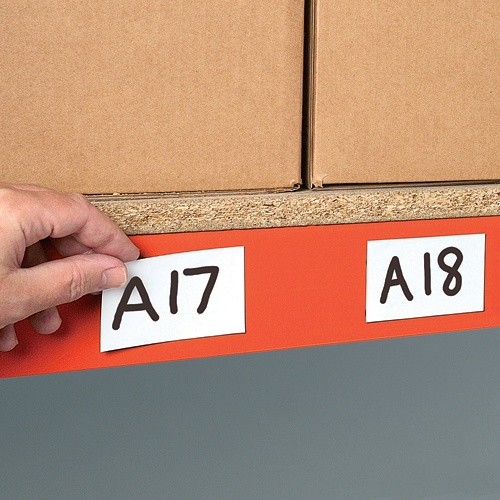 Warehouses and production facilities run more efficiently with effective labelling. We offer a wide range if different labels, markers and identification cards. We offer both adhesive and magnetic label markers, including number and letter packs ideal for marking product locations. Locations and warning can easily be applied to warehouse or factory floors using floor signs or markers. 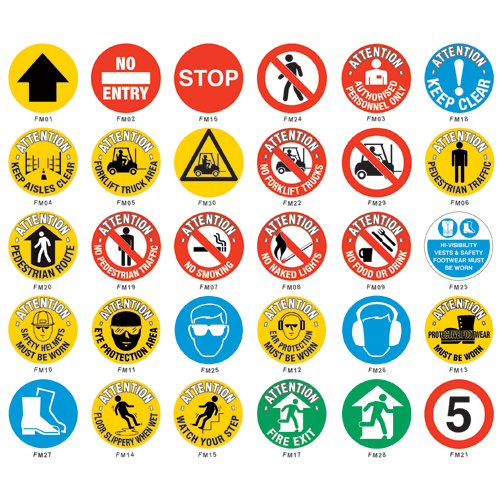 Whether it be warning signs or location marking we offer a wide range of products to choose from. An efficient and labelled warehouse is essential for any business.